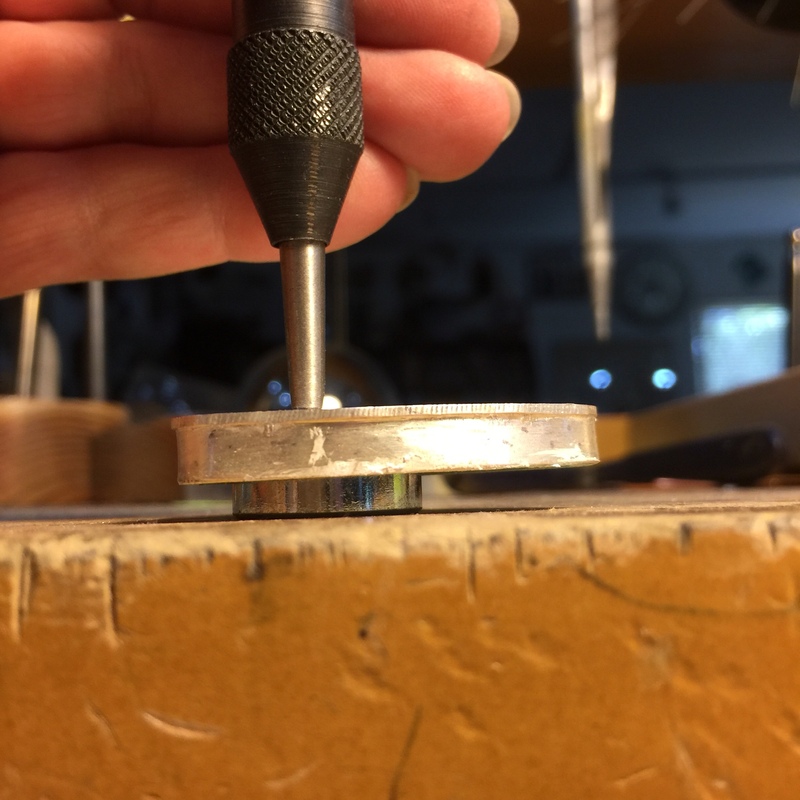 Need to hallmark or center-punch your piece of metal? It’s such a simple job when your piece is flat. 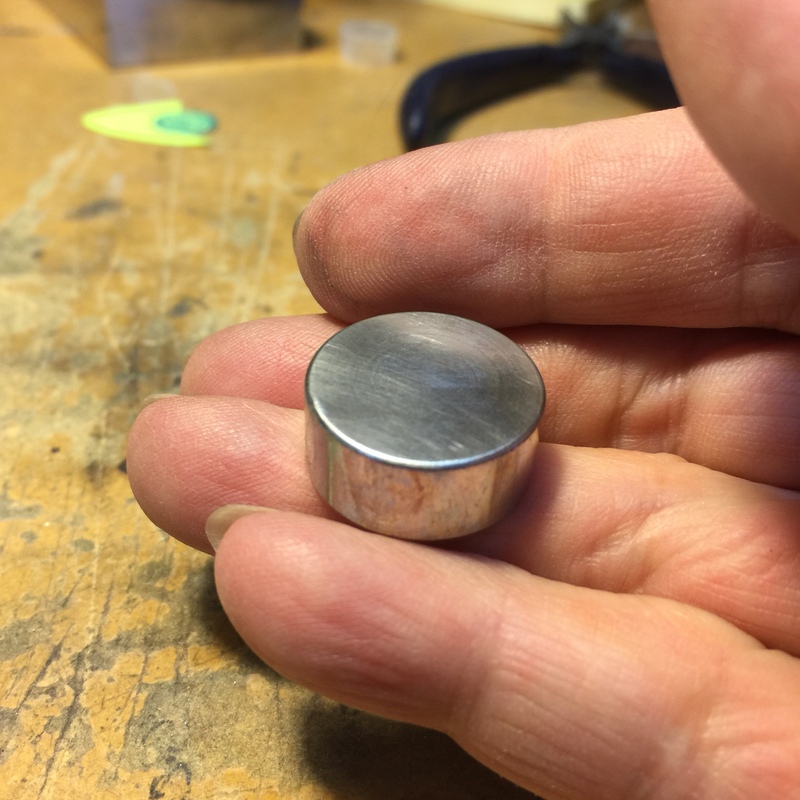 Just lay the metal down on a flat, hard surface and whack away. But what if the piece isn’t flat? 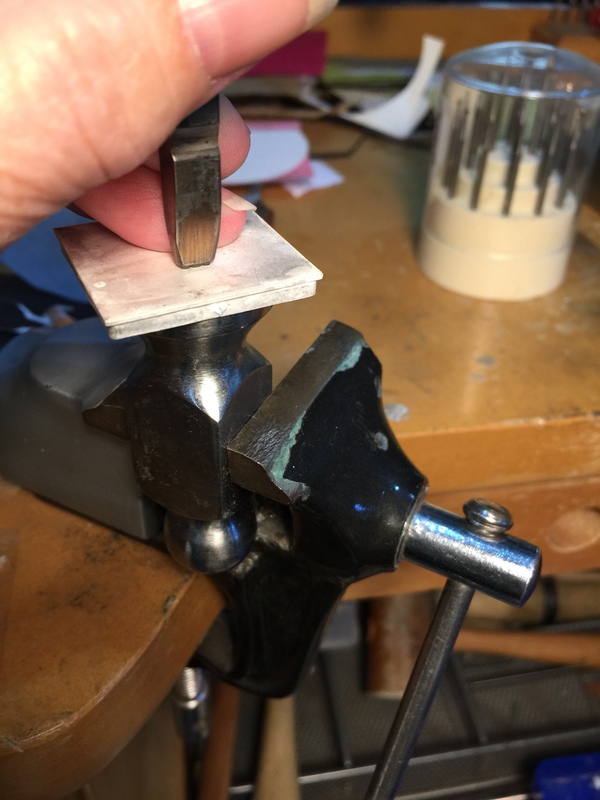 As long as there’s enough room underneath the piece to set it on an anvil, you can stamp or center-punch at will. Here’s the secret, anything can be an anvil, as long as it’s up to the job. I have a corner in my bench drawer devoted to small “thingys” made of steel in every shape. 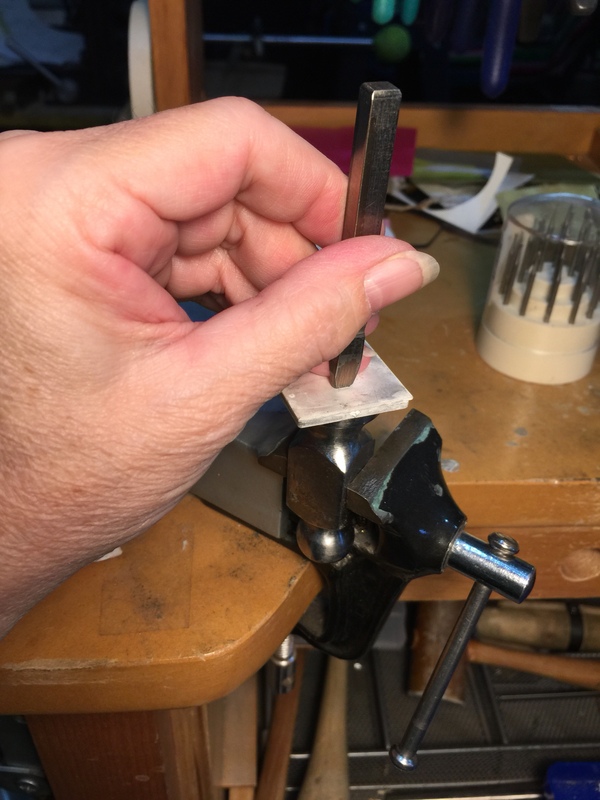 One of my favorites is the little steel dot made for setting rivets I got somewhere, but I also have knife handles, hammer heads, ball bearings and more.